It can be very easy, when conversations of ‘creation’ arise, to get caught up in a debate over origins—evolution versus creationism, six days or six “days” or six metaphors for days. In doing so, battle lines are quickly drawn, sides chosen, and enmity begins to grow. Which was why when I finished reading Creation and Doxology: The Beginning and End of God’s Good World, edited by Gerald Hiestand and Todd Wilson, I was so pleased that (for the most part) the contributing authors had avoided narrowing the concept of ‘creation’ down simply to one of origins, and looked at the whole of creation—its conception, its persistence, its theological importance, and its purpose. Springing from the third annual Center for Pastor Theologians (CPT) conference held in 2017, Creation and Doxology is the resulting collection of essays delivered by a wide array of pastor theologians including names like Andy Crouch, Deborah Haarsma, John Walton, Hans Madueme, and many more—and including essays from editors Hiestand and Wilson, as well. In all there are twelve essays covering the gamut of creation discussion, filtered into three sections: (1)The Doctrine of Creation Expressed; (2) The Doctrine of Creation Explored, and; (3) The Doctrine of Creation Practiced. The first section, Creation Expressed, touches on creation origin issues, but the book quickly diverges and jumps, in the second section, to talking about more abstract interpretations, ethical concerns dealing with existing creation. The final section, Creation Practiced, takes a more pastoral turn, as is expected in a series of essays from those proclaiming themselves as pastor theologians, and brings a sense of practicality and applicability to the table. It would be difficult and messy to review each essay individually, not least because some are better, while others seem unfocused, overly-technical, and out of place. I will, highlight just a handful from both sides of the spectrum. While I might find issue with Walton, this does not undermine the overall integrity and success of the book as a whole. Rather, Creation and Doxology is quite an easy recommendation to make for anyone even vaguely interested in the topics found therein. This is thanks in large part to the work of the Center for Pastor Theologians, but in this particular instance, highly reliant upon the grace, skill, and intelligence of those contributing. Book-ending the collection is a contribution from Michael LeFebvre entitled “Reading Genesis 1 with the Fourth Commandment: The Creation Week as a Calendar Narrative” which argues for the author’s view that the creation week, as written in Genesis 1 and 2, is representative of a calendar narrative, similar to others found within the Pentateuch. Pastor of Christ Church Reformed Presbyterian in Brownsburg, Indiana, LeFebvre persuasively lays out and defends his argument that “for Israel, the creation week calendar—like the festival year calendar—taught a practical cadence of labor and rest in the land God had prepared for them as his stewards (Gen 1:27-28).” (p. 20) Further, LeFebvre reminds us we cannot forget the importance of the Seventh day of creation. The shining light of this collection is Hans Madueme’s essay, ‘All Truth Is God’s Truth’ – a coherent theology of ‘Dogmatic Creationism’. The shining light of this collection, however, is Hans Madueme’s essay, “All Truth Is God’s Truth: A Defense of Dogmatic Creationism”. While I disagree with Madueme’s young-earth creation stance, his grace and humility in understanding the minority position he holds, his understanding of the issue—rather than just an allegiance to a particular theory or set of proofs and his beautiful prose make this the standout essay in Creation and Doxology. Further, even for those of us who do hold to a creation that has existed in a measurement of billions of years, there are important and necessary lessons to be learned. Madueme doesn’t base his young-earth creationism in science, but rather, it “is ultimately grounded in Scripture.” (p. 76) As such, Madueme raises a question: Do Christians place their faith in Scripture, or in science—science which, as every decent scientist will tell you, does not know what it does not know, yet? Madueme presents a coherent theology of “Dogmatic Creationism” which assumes the truth of Scripture, God’s truth, and the truth that science cannot prove it has discovered everything relevant to understanding creation. 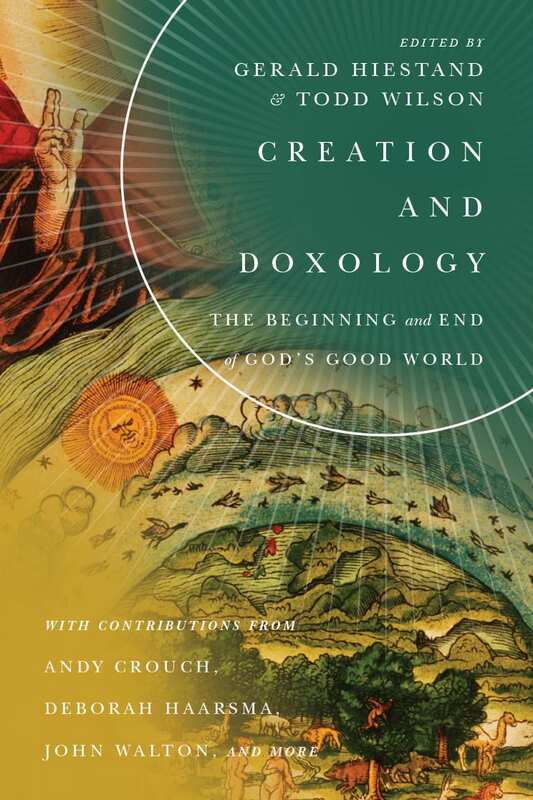 In the end, therefore, while I may find myself at odds with some of the authors, Creation and Doxology is a truly worthwhile book. It belongs on the shelves of those who concern themselves with questions of science, creation, and origins, as well as pastors who must come to grips with the assault on Christianity that can sometimes use science as its main mode of attack, and those who want to gain a better understanding of the importance of looking at creation beyond the one-dimensional scope of origins to see the role creation plays in our Christian lives.